Dear Carolina Lightning Family – We cannot thank you enough! 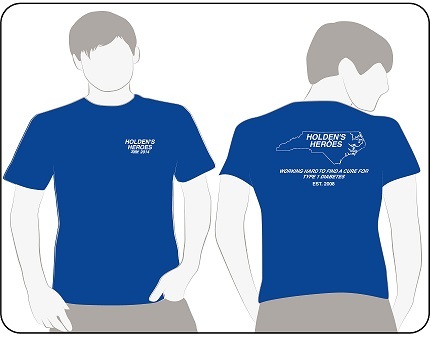 Our Holden’s Heroes team has raised over $6500 this year for JDRF (Juvenile Diabetes Research Foundation). Our Carolina Lightning teams raised just over $1300. We are so grateful for all the support we received for Holden, our family, our Holden’s Heroes team and JDRF! Thank you for your generosity. We could not have done this without all of you!!! Because of all of you, we will see continued research and advancement in the cure for Type 1 diabetes. Thank you to all the boys who played hard and had fun with the challenge. Thank you to all the parents that donated, the teams that participated and the managers that coordinated the fundraiser. Thank you for participating in this very important fundraiser. We are thankful to be a part of this organization that supports such a special cause and one of their own teammates. We hope to see all of you at the 2015 Walk to Cure Diabetes!!! We wish you and your family a HAPPY and HEALTHY 2015!!! 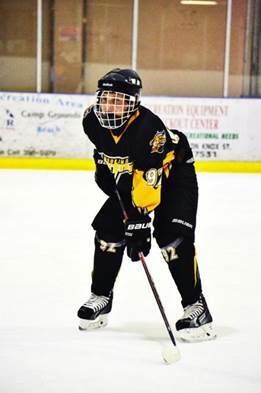 Hello Lightning Family – My name is Donna Lamm and our son, Holden is on the Lightning U16A team. As most of you know, Holden was diagnosed with Type 1 diabetes (T1D) in April 2008. (To read Holden’s story go to http://www2.jdrf.org/site/TR?px=1493369&fr_id=3900&pg=personal). Every year since 2008, our family has participated in the Triangle Walk to Cure Diabetes to raise money for research for this life changing and very challenging disease. This year our team will be playing in The Hemby Cup in Charlotte the weekend of the walk…but we still want to continue our fundraising efforts for JDRF. JDRF currently funds more research toward curing Type 1 diabetes than any other non-profit in the world. We are confident that they will play a major part in one day finding a cure for Type 1 diabetes for Holden and all those that live with Type 1 every day. The Carolina Lightning organization and Don have graciously made JDRF one of the fundraising/community service projects they support. Over the last two years, our teams raised almost $5000 on a hockey weekend goal challenge. We are very grateful to Don, The Lightning Organization and all of you for your support of Holden and our family, our Holden’s Heroes team and JDRF! Together, we will find a CURE!!! Type 1 diabetes is a 24-7 life-changing disease, and unfortunately isn't something that just "goes away" like a cold or the flu. Type 1 diabetes occurs when the body's immune system attacks insulin-producing cells in the pancreas and destroys them. Insulin is what breaks down sugars into glucose for a body's energy. Currently there is no cure for Type 1 diabetes but with the proper care and commitment, it can be managed.